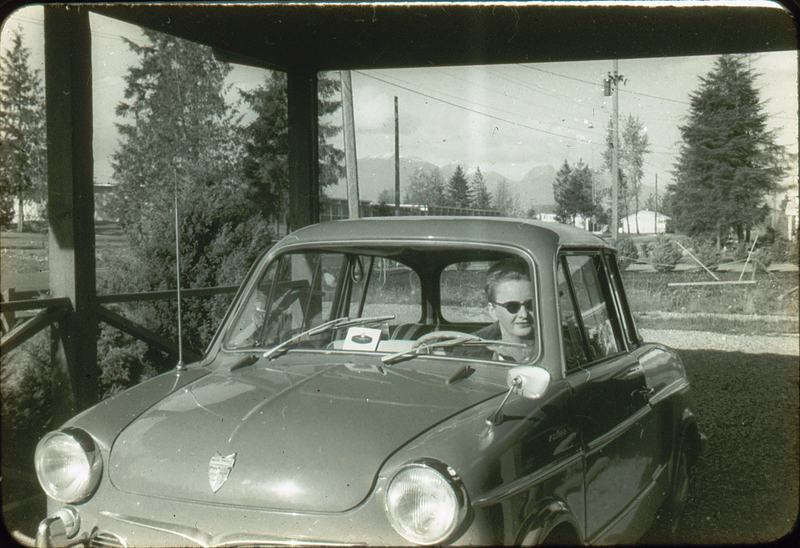 When I was about 8 both my mother and father were in the car business, but in different lots in Vancouver, Canada. My mum worked mainly as a bookkeeper at an exclusive lot that specialized in the NSU Prinz and a couple of other rare cars. The Prinz was a small German built car that had great gas mileage. They could float as well. One day an American came in to buy a car and all the salesmen were busy so my mum took care of him. He was interested in the Prinz, This was in 1959 or 60, my mother was perplexed why he wanted a small car when there were a lot of big cars on the market. 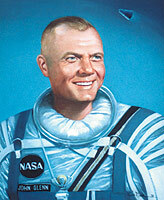 She quickly found out that the man was Friendship 7 astronaut John Glenn, the first American to orbit the earth (1962), so he was quite used to small spaces. Glenn loved his Prinz, but he received a lot of verbal jabs from the other American muscle car driving astronauts. He became a family friend, and I remember meeting him a couple of times. Don’t know about the floating business, but these did NOT have a rotary engine…. The NSU Spider, from the mid-sixties did have a Wankel rotary engine, but the Prinz had a 2-cylinder reciprocating engine, although with a rather unique valve train…..